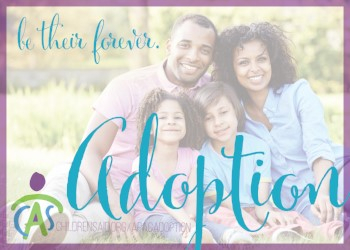 Are you considering adoption? APAC recruits, prepares, and supports adoptive families for children in foster care: children ages 5 and older; sibling groups being adopted together; or children with certain physical, cognitive, or behavioral challenges. Currently, hundreds of children in Alabama foster care are awaiting their forever family. Our free services include TIPS training and home study preparation. Also, our Family Advocates will provide intensive education and support for families planning for placement and adjusting as a new family. APAC is ready to partner with your family! Our APAC Adoption Information Video is the first step of the journey. Hosted by our trained adoption experts, this brief video will help your family in understanding what to expect when adopting from Foster Care in Alabama. There are no requirements or obligations in viewing this introductory video. APAC's adoption support team will be available to help you prepare for the application, training, and preparation process which are free support services to prospective parents living in Alabama interested in partnering with APAC and adopting Alabama's Waiting Children. Interested in learning more about adoption right now? We're ready to help! Click here to access our free, on-demand, Adoption Orientation. This short video is packed with information parents need to know about starting the adoption journey in Alabama. If you are unable to view our adoption information video, our team are ready to connect by phone for your convenience. We are here to help! For more information about adoption in Alabama, contact 866-803-2722 or email apac@childrensaid.org.